Friday Firsts is a meme where you share the first line of the book you are currently reading. Let's get right into it! The TVs on, some lame morning show. My best friend, Amy, wants to wait until college to ‘do it‘, but until then she’ll do ‘everything but’ with boys she thinks are cute and have good bodies. I was talking on twitter with a long time Internet friend of mine, Felicia (follow her on twitter @Felicia970) and she asked if I would like to loan one of her Kindle books. I said yes, loving the opportunity at a new good read. She gave me a list of three books that she could loan, and I chose ANATOMY OF A BOYFRIEND. I started reading it as soon as it was sent to my Kindle, and it only took me about a day and a half to read this book. 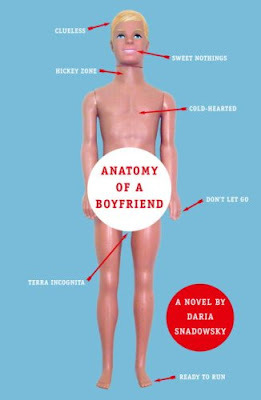 Although I didn’t like ANATOMY OF A BOYRFRIEND as much as I thought I would, I still really enjoyed it. Its one of those books that it’s a quick read whether you are enjoying the book or not. This is a warning right here. This book was a lot more graphic than I expected. Felicia warned me it was going to be weird, but some of the scenes in the book where a little much. Dominique was a very interesting character. There were times in the book where you loved her to death, and then other times where you just want to slap her. 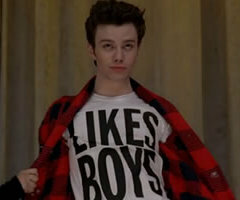 Wes was the same way, but I came to a decision where I decided that I never LOVED him during the course of this novel. I kind of knew how it was going to end, but there were times in the novel where I really doubted what I though. As it turns out, I predicted the whole ending by halfway through the book. I loved that the book was set in Florida. I love Florida with all my heart! The setting just made me connect to the book more, which made me happy. I love when I can connect to the book! Overall, I enjoyed reading this novel, but it wasn’t my favourite. I really hate the cover, to be brutally honest. I just find it disturbing and just… I don’t even know how to explain it. Sometimes when I look at it, I just have to look away. This novel includes excessive sexual content and mild cussing. Best friends Lani and Erin couldn't be more different. Lani's reserved and thoughtful; Erin's bubbly and outgoing. Lani likes to do her own thing; Erin prefers an entourage. There's no possible way they could be interested in the same guy. So when Erin starts dating Jason, Lani can't believe she feels such a deep connection with him and it may be mutual. The more Lani fights it, the more certain she feels that it's her fate to be with Jason. But what do you do when the love of your life is the one person you can't have? This novel was very high school cliché. Don’t get me wrong, contemporary novels are probably my favourite out of the whole YA genre, but this was just too high school cliché. Although I read this novel very fast, I felt as though it was really boring in a lot of places, as though the author put the scene in there just for word count purposes only. I think this novel could have been better if she took out those boring scenes and put more important things to help build the plot a bit more. I really wish I liked this novel, I really do. 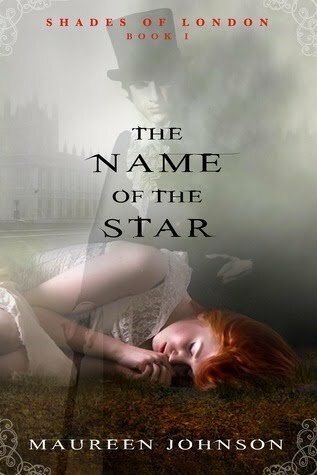 I think I will pick up another one of Susane’s novels, just to give them a chance. Maybe it was just that I read THE UNWRITTEN RULE before this novel and I found it as though they were almost the same novel. I think I may have liked it a bit more if I hadn’t read that novel before this one. Oddly enough, I really love this novel’s cover. I think its very simple, yet girly and fit’s the novel perfectly. The annual kite festival is one of the best things about spring. Aside from school ending in less than two months and the weather getting warmer. Lots of people bring their own kites to fly for fun, but unless they're homemade you can't enter them. Friday Firsts -- Really Late! I've been so busy this summer that I've rarely been able to keep up with blogging and the memes that need to get done, so lately blogging has been the last thing on my mind. I hope you guys understand if some of the memes that I do are late, I honestly don't want to have them go up late, its just I've been all over the place this summer. Anyways, here is Friday Firsts, which is a meme that you share the first line of the book you are currently reading! I have two first lines to share with you. What is the first line of the book your reading? The girl was the first to hear the loud pounding on the door. I never meant for it to happen like this. family by the French police in the Vel' d'Hiv roundup, but not before she locks her younger brother in a cupboard in the family's apartment, thinking that she will be back within a few hours. retrace the girl's ordeal, from that terrible term in the Vel d'Hiv, to the camps, and beyond. As she probes into Sarah's past, she begins to question her own place in France, and to reevaluate her marriage and her life. SARAH’S KEY is a novel that I find hard to place words for. Its one of the most tragic and horrifying books I’ve ever read in my life. I’m having a hard time explaining this novel, just because I just can’t believe what really happened to all these Jews. Before reading this novel, I had never heard of the Vel’ d’Hiv roundup that the French police did. I always thought that it was the Germans that had everything to do with hating the Jews, but the Germans had very little to do with the Vel’ d’Hiv roundup. Tatiana has serious talent. Her writing is deep and full of meaning, but doesn’t get you bored at all. You can tell she did endless research on the Vel’ d’Hiv before writing this novel. I thought I was going to seriously dislike Julia’s story - it just doesn’t seem interesting from the summary, but I really surprised myself and I really enjoyed it. I still think I enjoyed Sarah’s story more. SARAH’S KEY is a novel I think every reader should read. it’s a fast read, but it is a story that will stick with you long after you’ve turned the last page. 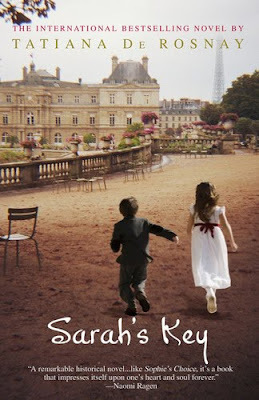 I think the cover is beautiful, having Sarah and her little brother running. I think it has a big meaning to the story, and I love that it isn’t bright, and it almost looks like its sad. What are you waiting on Wednesday? I know those were longer than a sentence, but I just thought I would share the entire thought of the teaser, just so that it would make a little more sense. Hope you enjoyed! IT'S MONDAY! What are you reading? 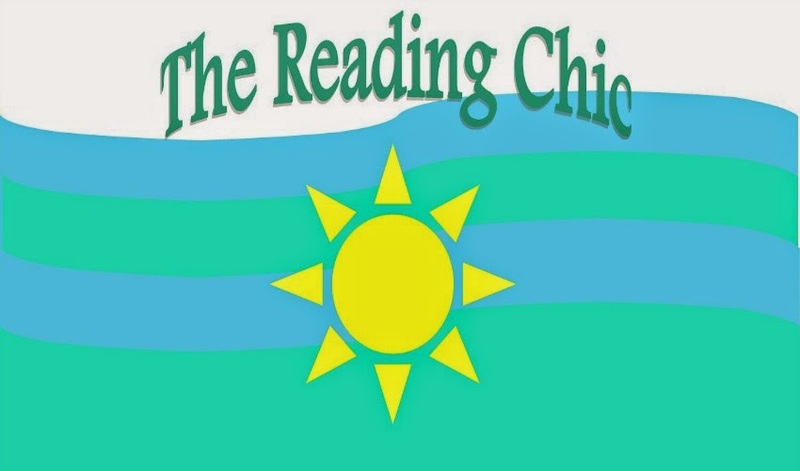 This is a blogging meme to talk about some of the books that you read this week and the ones you are currently reading this week. Let's get started! Hope you enjoyed. (: What are you reading on this Monday? THE JULIET CLUB was one of those novels that I picked up on a whim - I had never heard of this book before I saw it sitting in the bookstore. I thought it sounded good, so I picked it up. 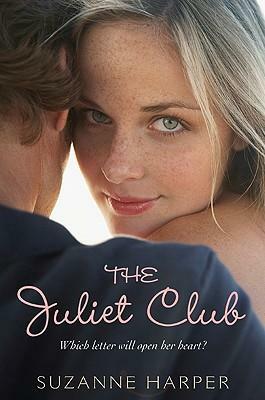 I am so glad I did because THE JULIET CLUB was one of those novels that I could not put down. Kate was a character I liked from the beginning - she was tough, yet she wasn’t mean. I also liked Giacomo from the beginning - even if he was a player. I REALLY want to go to Verona, Italy now. Italy sound beautiful, and I loved that this novel was set there, I think it was perfect for the story. Why would you want to go to a Shakespeare seminar for Romeo and Juliet if it WASN’T set in the exact place they fell in love? On the back of this book, it says “a perfect summer read”… and THE JULIET CLUB truly is an amazing summer read, one that I think every YA lover needs to read sooner or later. That's all she's ever wanted to be. This year, her senior year, not only does she have to share the coveted Senior Editor position with her arch nemesis, Jimmy Foster, she also has to figure out how to keep the school paper alive. With the local paper closing and the school cutting Journalism from the budget, it's a long shot. Working side-by-side with Foster, the guy she likes to call Lucifer, makes it even worse. his ridiculous newspaper assignment--to go on twelve blind dates--to prove his powers of darkness won't work on her. The trouble is, the more she learns about herself on her journey of bad blind dates, the more she wonders if maybe Foster has known her better than she knows herself all this time. I read this book on my Kindle because it was under my “suggested books” section and it was only two dollars. Great deal, right? Well, I didn’t have high expectations for this, just because it was so cheap. I can say I was surprised on how entertaining it was. This book wasn’t the best that it could have been, but it was a really fun read! I read it in about three or four sittings, which is pretty good for me (this novel is also very short, though). Layney was an… interesting character. When I first started the book, she seemed like, well, almost like a stuck-up snob, but once I got into the book a little bit more and learned her back-story a bit better, I realised that she was actually a pretty good character. I never really liked Jimmy, until the very end of the book. I loved Micah from the moment he was introduced, though. I loved the whole idea of the dates. I think Layney learned a lot of what she needed to learn on those dates, which made her character that much better. I would have liked to see it end in a different way, but unfortunately it didn’t, so there isn’t much I can do about it. I guess what happened was meant to happen. 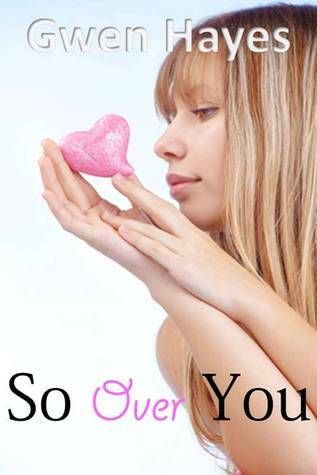 SO OVER YOU is a story about love, loss, learning more about yourself, and learning that you should never let go of what is the most important thing in your life. I think this cover is pretty… standard. I do think it’s a nice cover, and portrays the story very well, its just every love story has a cover like this. I waiting forever to get my hands on WHAT HAPPENED TO GOODBYE, since I turned to the very last page of her previous novel, ALONG FOR THE RIDE. I’ve been a huge fan of Sarah Dessen for about three years now, and I’ve read every single one of her novels. She has done it again! Mclean was a character that had to grow on me. She wasn’t one of those characters where I loved her from the beginning. After she grew on me a bit more, she became one of my favourite characters from a Sarah Dessen novel. On the other hand, Dave was one of those characters that I loved from the beginning, from the very moment he was introduced. I loved the storyline that Dessen came up with for this novel - one of her most creative. I loved the whole idea of changing yourself, and how it isn’t as easy as its cracked up to be. I thoroughly enjoyed this novel, I think it’s the perfect summer read, a book about love, changing, and how important it is to be yourself. When this cover was first revealed, I wasn’t a huge fan of it, but after reading it, I really like it! I think it fit’s the story perfectly, but I got a lot of comments from my friends of what Mclean was trying to do. So... I ask you... What did you get in your mailbox?